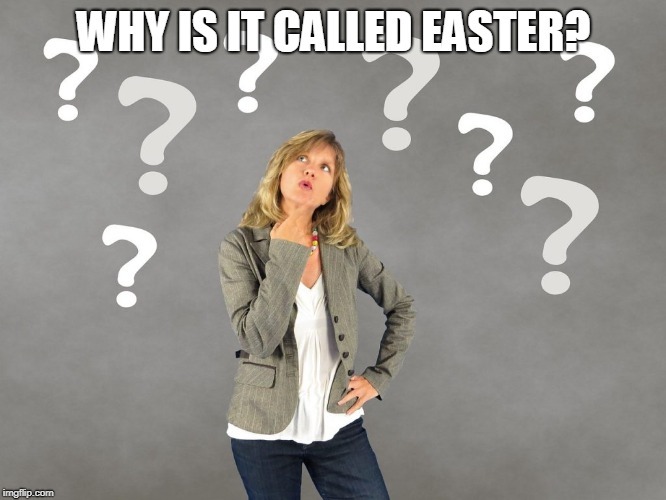 Ever notice that Easter takes a back seat to so many other “fun” holidays Why is this? Thanksgiving is a busy travel time with people spending time with their families; additionally, Christmas celebrations and parties go on for weeks. A grocery store owner once told me that his busiest time is Fourth of July week! I guess people are getting ready for all those big picnics and fireworks. But Easter, not so much. Compare how many show up for a sunrise service in the park to an Independence Day firework display. I think the 4th wins! Sure we eat out or cook a big meal after church, but there isn’t a lot of hype or excitement over the most important event to occur in the history of mankind. Therefore April’s workout focuses on Easter and helps us prepare for this tremendous gift from God. This post answers questions and discusses some ignored aspects of this momentous event. Read on to learn more about this significant event that means everything to Christians. If you aren’t familiar with our Christian Workout 2019 click here for an overview. First, let’s discover why we celebrate Easter on different dates – even different months! We celebrate Easter based on the vernal equinox, which is when day and night are about equal. Therefore, Easter is the Sunday after the first full moon after the equinox, thus the holiday falls between March 22 and April 25. Passover is also celebrated in the spring and begins on the night of a full moon after the northern vernal equinox. So why doesn’t Passover and Easter always coincide? The Jewish calendar is based on twelve lunar months rather than a solar year and makes adjustments for leap year. Additionally, Christians delay Easter if the first Full Moon is on Sunday, making the holiday less likely to fall around Passover those years. Confused? Why not make it simple and use the Passover date to determine our celebration of Jesus’ resurrection? Because Easter may fall on a day other than Sunday and that was unacceptable to the Christian church. I know this is as clear as mud and I’m sure there are valid reasons for all the date changes. Since I’m not a historian, biblical scholar or astronomer, it makes little sense to me. If anyone understands it, please enlighten us in the comment section. I’m confused enough, but if you want more information take a look at this article. It gets into the details of how Passover and Easter dates are determined. Many of the pagan religions celebrated the changing of the seasons, and unfortunately, these rituals influenced the dates and names chosen for many Christian holidays. While Easter coincides with the vernal equinox, it is also the time of year Eostre, an English goddess, supposedly ushers in the warmer and lighter days of spring. Hence the name Easter. So perhaps instead of calling this sacred holiday after a pagan goddess, Christians should always refer to the day as Resurrection Sunday. What do you think? After reading the article comment below. Begin April’s workout by reading all four accounts of the Easter story in the four Gospels. Matthew Chapters 26-28, Mark Chapters 14-16, Luke Chapters 22-24, and John Chapters 13-21. Perhaps read one account every Sunday in April before a meal. Try to learn something new as you study about this miracle that saved us from death. Notice that Matthew wrote from a perspective of Jesus’ kingship, Mark focused on the servant aspect, Luke emphasized the human side, while John stressed Jesus’ divinity; consequently, the gospel accounts are different. Unfortunately, many people exploit these differences to confuse people about the accuracy of these four divinely inspired books. Click here to read an excellent explanation of these supposed discrepancies, e.g. how many women went to the tomb, what time of day did they arrive, Jesus appearances after the resurrection, etc. 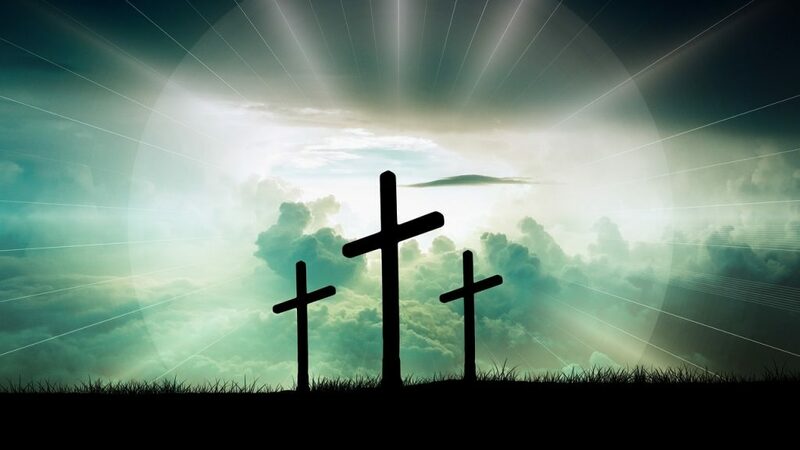 Additionally, as you prepare and celebrate Easter or Resurrection Sunday spend time this month learning about the culture and other important days surrounding the death and resurrection of Jesus. You can read the information provided below for a better understanding. If you want a more in-depth study, research one subject each week in April or click on the suggested links to learn more. Understanding the political, cultural, and religious society in which Jesus lived helps us understand the biblical account better. Did you know that many Jews lived in Israel, but there were many more Jews who lived throughout the Roman Empire? Probably this is true because, after years of disobedience, God allowed other nations to conquer the Israelites. Therefore, the people dispersed all over the world, however, after seventy years of exile some returned to their homeland, and their descendants were in Israel when the Roman Empire took control. However, many of God’s chosen stayed in foreign nations, so Jews were present throughout the empire. Another interesting cultural tidbit is the people who surrounded Jesus, especially women! While women were chattel and didn’t legally testify in court Jesus went against the culture and respected and welcomed these women as followers. Click here for a post that, although neutral on who Jesus was, provides an overview of the community in which Jesus worked, preached, and lived. Week 2: Why is it called Maundy Thursday? Jesus celebrated the Last Supper with His disciples on a day we now call Maundy Thursday. It is a day not given a lot of attention during the Easter season. Like the name Easter, Maundy is a word many of us don’t understand. Maundy means to command, which refers to the mandates given to the disciples at the Last Supper, which we call Communion today. (Luke 22: 14-20) At this supper, Jesus also commanded the disciples to live a life of love and service to one another (John 13: 1-17). He exemplified this service by washing the disciples’ feet. While churches often ignore this special day, some do hold foot washing services and others celebrate communion the Thursday before Easter. While I always thought that this dinner was the Jewish Seder eaten during Passover, that may not be true. John 19:14-16 mentions the beginning of Passover after Jesus’ arrest. Nevertheless, we do know the crucifixion occurred around Passover. It is hard to understand why Jesus endured crucifixion. God’s ways are not our ways or His thoughts our thoughts, so the requirement of a blood sacrifice is hard to understand from our human perspective. However, as far back as Cain and Abel, God accepted Abel’s livestock sacrifice and not Cain’s grain sacrifice. Additionally, the God-given Jewish laws required the people to sacrifice animals with no defects for the forgiveness of sins. Of course, this forgiveness was temporary. Whether we fully comprehend or not, a blood sacrifice is required, and Jesus was the perfect lamb and final sacrifice for all our sin. To learn more take a look at this interesting 4-minute video that discusses the history of the crucifixion site. If you are able to endure, click here to better understand this this gruesome form of execution used by the Roman government. It is disturbing. Often ignored, Pentecost is significant for both Jews and Christians. The Jewish people celebrate the end of the grain harvest 50 days after the wave offering during Passover. Many Jews from all over the Empire were in Jerusalem to celebrate this holiday; providing a diverse and large audience for the disciples to reach. This day is particularly significant because it is the day the Holy Spirit came to indwell in all believers. Before the Holy Spirit came only to help in specific situations. For Christians, this is a glorious day for we have access to the Holy Spirit at all times. Do you act like you have such a powerful friend? Often, I don’t. This article summarizes the day the Holy Spirit came to indwell believers. Invite children over to color eggs and make sure you share the Easter story with them during the visit. 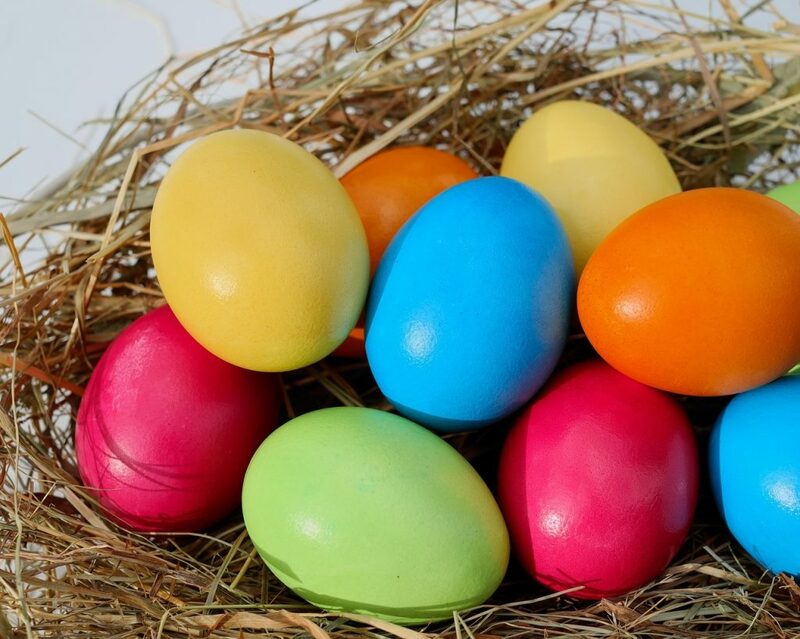 In addition to the articles and videos found in this post, check out last year’s Easter blog, which provides suggestions on ways to make this holiday a priority in our homes. It asks: “Where’s the Joy?” I don’t know about you, but I needed this reminder. Last month’s workout was “Success God’s Way.” Which “successful” biblical woman did you relate to the most? Were you able to put any of the reflection ideas into action or volunteer to help someone in need? Please let us know by commenting below. My thoughts on last week’s post are below. Of course, if you have any Easter insights to help us with our workout this month, please share those too. Blessings until next time and Happy Resurrection Sunday! 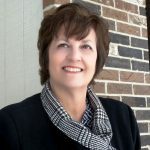 Which of the women did I identify with from last month’s blog about success? I love all these women: Deborah’s leadership, Dorcas’ generosity, Priscilla’s loyalty to the mission, and Lydia’s quest to learn. I probably identify most with Priscilla. I hope that my husband and I are a team that shares the message of Jesus to those around us through words and the way we live our lives. Anybody else want to share the woman they most identify with or just admire the most?